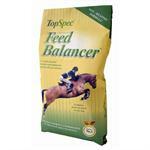 TopSpec Feed Balancer is a very palatable ‘non-heating’ feed that contains a multi-supplement including the levels of micronutrients and digestive aids normally only found in high quality specialised supplements. 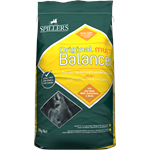 Lo-Cal balancer can be fed as the sole concentrate, to balance forage, or alongside reduced levels of other compound feeds to top up nutrient levels. 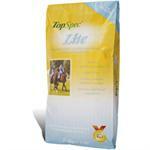 TopSpec Lite is designed for horses and ponies that need their weight controlled; they are usually good-doers and may be overweight. 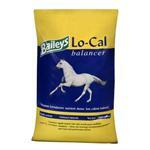 Provides the nutrients needed to balance a calorie restricted diet. 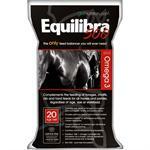 Original offers a unique, cutting edge, scientific, yet traditional and holistic approach to equine nutrition. 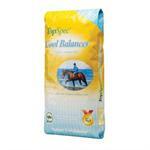 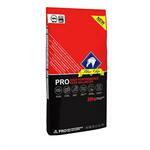 It contains nutrient-rich, natural and organic ingredients that enhance the overall health and development of the horse. 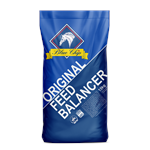 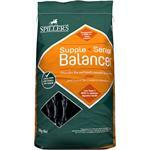 The feed balancer for the performance horse and proving to be invaluable to veterans. 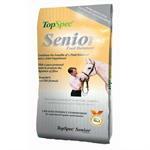 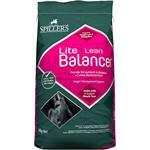 A natural formula to maintain supple and flexible joints and proven to help stallion fertility. 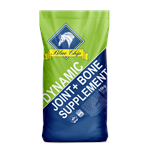 Provides the nutrients needed every day + joint support for comfort and movement Formulated to balance the diet of senior horses or ponies and provide joint support.